This eccentric 'museum' is a relatively new addition to London's plethora of galleries. What makes it unique is the way that it strives to connect the bizarre treasure trove of objects in its collection with history, art, society and life. 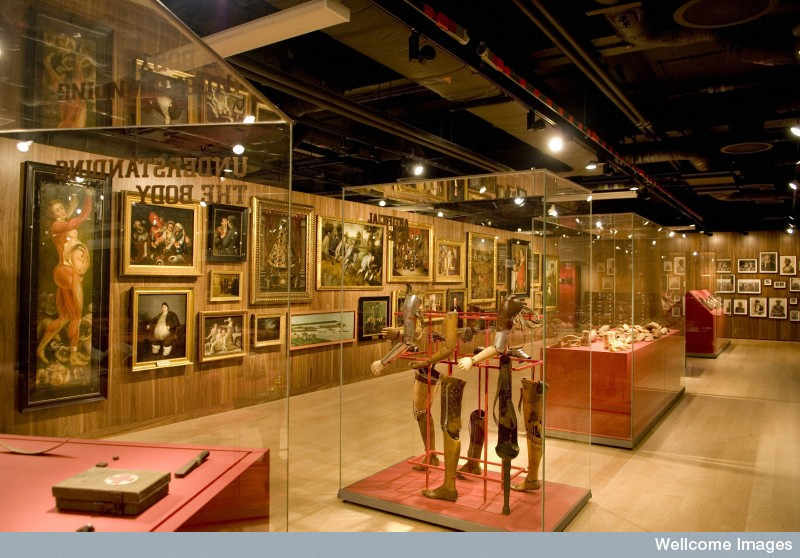 Science at the Wellcome Collection is presented in an entirely new and revolutionary way. Don't miss Francis Crick's hand-drawn pencil sketch of the human genome DNA strand, created in 1953 - the first vision of a jigsaw piece that would connect humanity forever. The museum is also a favourite of top Geek Stephen Fry! Many places claim to be 'at the center of the world', but only the Royal Observatory can claim to be located at the true Prime Meridian. Each New Year only officially begins once the giant clock at Greenwich has chimed the hour. Located on the grassy banks of the Thames, the stunning architecture of this Victorian observatory is only a secondary attraction: it is the home of the only operating public planetarium in the city, and the longest refraction telescope in the United Kingdom. As the world's most popular retailer of cult entertainment, iconic fantasy and science fiction items; Forbidden Planet is a geek's natural heaven. No other store in the United Kingdom carries such a wide range of graphic novels and comic books; in addition to DVDs in every category: from classic B-movie hits to the latest releases. Visit the UK flagship store and check out their vast range of science fiction - if you're lucky, there might even be a signing! Entrance free of charge, this is a must-see for any science nerd. With over five massive floors covering everything from the history of engineering to the future of space flight; nearly ten thousand objects, experiments and galleries will keep a geek enthralled for hours. Check out the futuristic fourth floor Virtual Reality zone for dozens of interactive virtual activities. Come and chill out with London's own "Dungeon Master" - things to check out at this fantastical store include collaborating on games of Dungeons and Dragons, miniature figure painting workshops, magic card games and more. There's no charge to go in and hang at this geeky mecca; although everything that you see can also be purchased as a souvenir. It doesn't matter if you're on Team Jobs or Team Gates: there's something to entertain everybody at the futuristic Apple flagship store in Covent Garden. Have a chat with the team to catch up on the latest releases, as well as experimenting with some future tech; watch a movie on the iPad or check out the newest update for Siri. It's easy for the hours to slip away as you marvel at the way Flash integrates so beautifully on the latest iPhone! A thirty minute train ride from London Euston, this country mansion was the ultra-secret location of Britain's WW2 code breakers. From creating the world's first computer to cracking the Enigma code - the work done at this unassuming base shortened the war by two years. Make sure you check out the Ian Fleming Bond exhibition in Hut 4. From Space Raiders to Street Fighter, this vintage shopping arcade is a great place to finish the day. It contains more than fifty retro gaming machines! For more Geek Travel Tips, HostelBookers have created a Geek Travel Map with recommendation from Top Celebrity Geeks in London and around the world.